If you drive an SUV or you’re looking to get into one, you’re probably dealing with a varied list of needs for a vehicle. You may need quite a bit of cabin space for numerous passengers or a large amount of cargo. Perhaps you want to put the power of a large vehicle to use but you don’t want to sacrifice the smooth ride and performance capabilities of a smaller sedan. Regardless of why you may need or want an SUV, you’re far from alone, as millions of people get behind the wheels of SUVs every day across the United States. Of course, if this is sounds like you, you can’t do better than GMC SUVs, and fortunately our team at Carl Black Orlando offers the full line of 2019 GMC SUVs and crossovers. 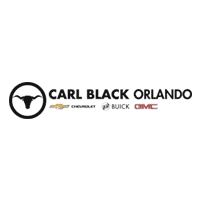 We work with every individual customer and prospective customer closely, here at Carl Black Orlando. Despite the popularity of SUVs in general and GMC SUVs in particular, every customer comes to us with a particular set of characteristics that he, she or they need in a new vehicle. We take the time to learn all about those specifics, and from there we provide the opportunity to take a close look at all of our GMC SUVs and crossovers before helping everyone find the best possible fit. That’s how we’ve come to be such a trusted GMC dealer here in the Orlando area. 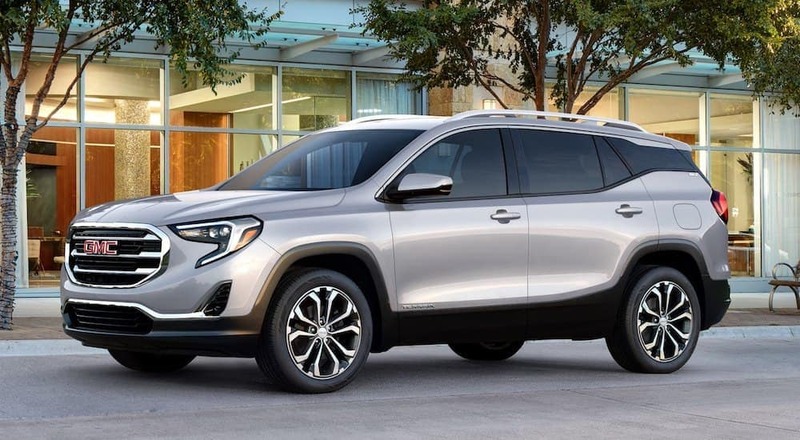 The 2019 GMC Terrain offers a lot of power and rugged performance capabilities in a crossover package that provides for convenient fits in parking spots and an incredibly smooth ride. Seating 5 comfortably, the GMC Terrain offers a front-to-back load floor that completely maximizes its cargo space, allowing you to haul objects of up to 8 feet long inside the cabin. Starting at around $25,000, the Terrain also earns up to 30 miles per gallon on the highway, so you’ll be putting all of those driving capabilities to work in an economical and efficient package. Come and see the 2019 GMC Terrain for yourself here at Carl Black Orlando. If you like the size and general capabilities of the 2019 GMC Terrain but you’re looking for a little bit more “oomph” behind that wheel, look no further than the 2019 GMC Terrain Denali. This is a model that offers many of the same specifications but it also gives you the chance to put a 2.0-liter Turbocharged engine to work for you while you remain cozy in the even more luxurious cabin. You’ll feel the raw power every time you hit the gas, but that’s just one of the best parts of Terrain Denali, you’ll still get to enjoy earning up to 28 miles per gallon on the highway. With an MSRP starting at $37,800, you’ll also appreciate the affordability behind such a memorable luxury driving experience. If you’re looking for more of a mid-sized SUV, your search should definitely include the 2019 GMC Acadia. This gorgeous model seats up to 7 people comfortably, and the price tag is also quite comfortable, with an MSRP of $32,800. Of all of the features that people seem to really like about the 2019 GMC Acadia, one of the most popular is the access to the third row of seats. Most of us who have been in these three-row vehicles know that accessing that last row can be very difficult. That’s not the case with the 2019 Acadia. Its Smart Slide Seats make this an easy process. The cost at the gas pump is also pretty easy, as the Acadia earns up to 26 miles per gallon on the highway. Do you love the possibilities presented by the 2019 GMC Acadia, but you generally prefer a bit more in the way of luxury? Well, allow us to present to you one of the most popular GMC SUVs on the market: the 2019 GMC Acadia Denali. Once again, you get everything you could have asked for with the Acadia, but with a few extra twists and features. With the Acadia Denali, you’ll be riding on perforated leather driver and front-passenger seats that are both heated and ventilated. With an MSRP of $45,500 and in a vehicle that will give you 25 miles per gallon on the highway, you’ll be sitting pretty in more ways than one with the 2019 GMC Acadia Denali. If a full-sized SUV is what you need for whatever reason, you’re making a great choice with the 2019 GMC Yukon. This spacious model seats up to 9 people comfortably, so you won’t have to worry about space constraints when you get behind the wheel of this high-level performance machine. It’s remarkable that a vehicle of this size gets up to 22 miles per gallon on the highway, and even more remarkable that you can put this level of performance to work for an MSRP that starts at only $49,600. Come and see for yourself what you’ve been missing. If even comfortable seating for nine people may not always be enough, or even if there’s any question, then take a look at the largest of the new GMC SUVs, the 2019 GMC Yukon XL. This big machine offers more than 20 extra inches in length and more than twice the cargo volume behind the third row of seats. You’ll also enjoy more legroom in the back, and somehow, you’ll still be getting up to 22 miles per gallon on the highway. With a starting MSRP of $52,400, bigger is definitely going to be better for some drivers. If you like the dimensions and capabilities of the 2019 GMC Yukon but you’d like a bit of a different style with a dash of luxury added into the mix, come on down to Carl Black and test drive the 2019 GMC Yukon Denali. It seats up to 8 people comfortably and offers a 10-speaker surround sound system that has to be experienced to be believed. It also earns up to 23 miles per gallon on the highway. Starting at an MSRP of $66,700, you’ll find that the investment is more than worth it. Last but certainly not least in our line of new 2019 GMC SUVs is the 2019 GMC Yukon XL Denali. Much like the difference between the Yukon and the Yukon XL, the Yukon XL Denali offers more body length, more cargo volume behind the third row of seats and more third-row legroom than the Yukon Denali. It also gives you 23 miles per gallon on the highway, which makes the MSRP of $69,500 seem quite economical. If you’re ready to take a look at the GMC SUVs that are available, our team at Carl Black Orlando looks forward to welcoming you onto our lot and providing you with whatever information you could possibly need. Please feel free to contact us at any time so we can help you take the next step towards exceeding your vehicular needs. has earned our rating and our reputation, and we fully intend to continue doing just that into the future.